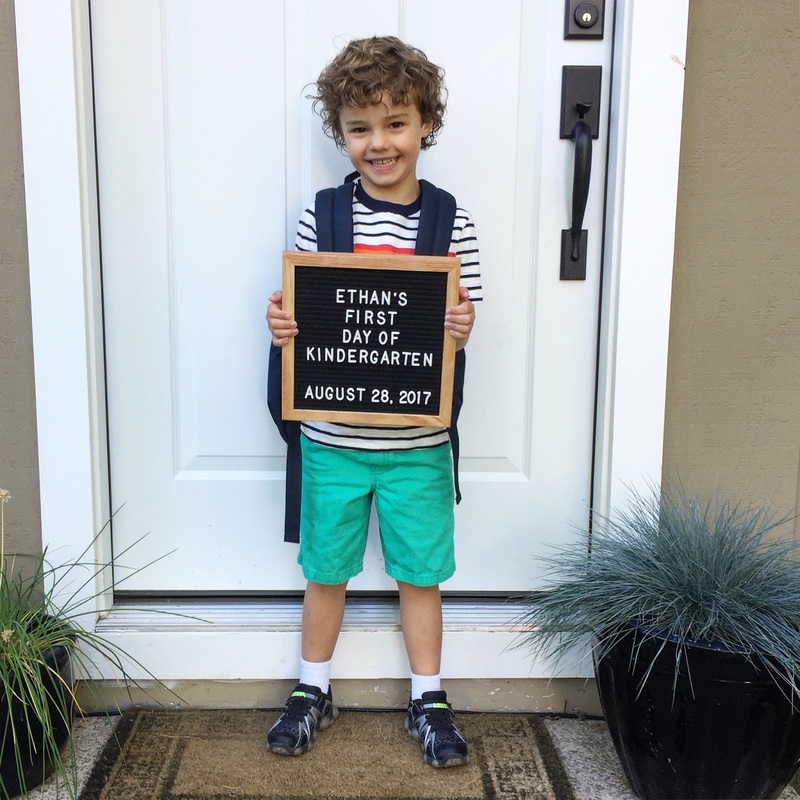 It's hard to believe Ethan had his first day of kindergarten yesterday. Well, technically, it was a nice introduction day for both kids and parents...we were only there for a two-hour orientation...but the whole idea of Ethan starting school is so exciting and overwhelming! Ethan could hardly stand himself he was so excited. He got himself dressed and practically begged to have his picture taken with his new backpack. I'm so proud of this little guy and can't wait to see him take on this new chapter in life. For more of my thoughts on Ethan heading to school, check out my article here. Ugh. We start kindergarten next week, Tuesday to be exact and I am "dreading" it. Like way worse than I ever anticipated. I worry about the little kids going to preschool for the first time on their own, being in the car without my buddy and not being able to pick her up after school - that's daddy's new role. I start having heart palpitations and my eyes well up with tears just thinking about it. However she is so excited for this next big girl chapter so I am trying to ride the wave of excitement instead of fear. I know she will rock it, I'm just not so sure about her momma. aww what a cutie! vi starts next week!! I can't believe he is ready for Kindergarten already. Times flies. My youngest went through that when her sister left for school. We had a few weeks between that and when she started preschool. He'll settle once they get into a routine. Hugs! So, here's something crazy: I started reading your blog when you were pregnant with Ethan. Now the kid's in kindergarten! Oh, time, you are cruel (but also kind of amazing).